LONDON BABY! Yes I made that same reference which Imade in my last review, but it makes sense here because – well, London! 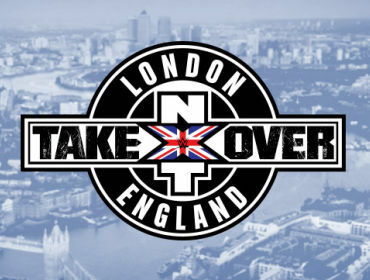 Baby.This is my review of the recent NXT Takeover Special that took place at London,England. While anyone around the world could have watched this online, which Ihave also done by the time this is up, I am going to see it live in person!While other WWE shows I went to in the past were ‘Live Events’, this isdifferent as it will be a broadcasted event for many to see around the world asmentioned. To say I was excited for this show when it wasannounced as a Takeover special was an understatement, even though it was inLondon, a fair travel away from Cardiff compared to other local welsh shows orplaces like Bristol (hint hint). London involves longer travel, booking a roomto stay for the night, and all of these along with the actual ticket for theshow cost me, so much money, something many in my life regretting me doing, andto an extend I did as well. But let me tell you, after this show, I don’tregret a darn thing about it. Now the format I’ll be using through here willsomewhat different to my others in that I will be covering each of the matchesfrom two different viewpoints. From someone who seen in live in person, and assomeone who has seen it on-screen. I say this as crowd reactions and overallshow experiences can be completely different to someone who went to the showcompared to someone who didn’t. So yeah, travelling to London was a hassle since Ihad to book a Megabus, which was delayed. This gave me a near panic attackthinking I had missed the bus when others around me were also taking the samebus which arrived half an hour later. I got to London by around 2:30, and thenof course I had to get the right trains through the underground which annoyedme. The the people around me moving at a constant speed didn’t help either. ButI managed to get to my hotel an hour later which considering the price I paid,was fairly nice. Nice enough to stay the night, I even got internet access so Icould use my laptop to do things like write this review you are reading. Aftersettling in for about half an hour, I made my way on the train to the WembleyArena where the show would be taking place. The venue itself as to be expected was quiteexpensive. What I was surprised with were the seats I had. I was expectingsomething to restrict my view or hinder my viewing pleasure of the action infront of me. I got a decent view of the action which was a nice bargain in mymind. Of course I was also sat in the middle of a cluster of unbearablewrestling fans. Some behind and to my left who were the typical ‘I’ll chant thedumb things people are doing now because it’s the cool thing to do!’, withlittle children in front of me following their example, (which kids, if forwhatever reason you’re reading my reviews with parental content, don’t followtheir example). These people are silly, and not the fun kind of silly. Therewas also what appeared to be a tipsy/drunk middle aged man beside me with hisadult son pointing to his friend on the other side of the arena, blocking myview at times. So the show itself, honestly, and I’ll try and saythis in the least corny way possible, was one of the greatest experiences of mylife. 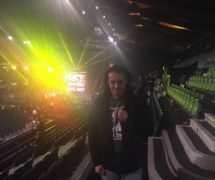 Now going to WWE Live shows and the NXT show in Cardiff were great andlive events in general are always fun to see. But the scope and feel of this showwas unlike anything I have ever been to at this point. Now again, I will be covering the main matches onthe card of course, but I will also be covering matches that happened beforeand after the world tuned in for this show before the official card started. Weusually call these ‘Dark Matches’ to anyone who’s curious, but during the showit was announced one of these matches would be shown on the next episode ofNXT. So likely by the time you’d read my review on these hidden matches, theywould have very much been seen by many people all over. Maybe it will just bethe one, or two, or all three of the dark matches that took place. And as a quick mention, I have to say the sound wasMUCH BETTER in London than it was in Cardiff. I was quite far away compared toothers in the front row and the sound was so clear. I was in the second row inCardiff and the sound was so scuffled I could barely make out what was beingsaid. I’d say it could be difference in how far away I am, but I had furtherseats in a past WWE show in Cardiff and it was just as bad then. If Cardiff orMotorpoint needs to learn from this show is to get better quality soundequipment. But with that said, let’s get started. The Vaudevillians got themselves a nice reactioncoming out to the live crowd. The Hype Bros actually got mostly negative heatfrom what I heard around me which kind of shocked me. I mean, I’m personallynot a fan of their act either but I thought these people would eat it up.Apparently not. And of course they didn’t really like Blake & Murphy muchand somewhat cheered for Alexa more because, well, look at her! Its AlexaBliss! How can you not!? Still as tiny in person as on screen that one. Butwhen Jordan & Gable came out – OW! That was first thing I said to myselfsince I thought my ears popped by how loud they cheered these two. As mentionedthey were doing the No Limits chant to their names outside the venue and beforethe show started, so they were desperate to see these two being involvedsomehow. Anyway the match itself was quite hectic, but in a good way. We got tosee the usual acts by each of the teams and people let them know if theyapproved or not, but nothing could dampen their love for Jordan and Gable. Onespot that had me super excited was Jordan throwing one of the guys over hishead onto a bunch of guys to the outside, it looked amaing in person, and I’msure it will on television as well. In the end Jordan & Gable hit theirGrand Amplitude Double Team finish to get the win, starting the people off veryhappy. Later during the actual show it was announced thatthis match will be shown on NXT the next following week so those who didn’t getto see this can expect to see something very enjoyable for sure. Now to be honest, I truly cannot say anything aboutthis match other than it barely lasted a few minutes, and in those few minutesI couldn’t see what was happening as people were walking in from of me duringand after the match. So while I couldn’t see how Elias finished off Bull, hedid it somehow, and naturally people were blocking the replay they showed onscreen. And even thought it was a short match, I do hope that match gets shownon TV since it did feature a new star in Elias who has been having vignettes ofhis debut for the past few on NXT episodes. I mean, not many people reacted tohim because they haven’t seen him actually wrestle on TV. Some people evenstarted a ‘We Miss Gable’ chant. I’m not gonna lie, I missed him too. Sayingthat, I’m definitely interested to see how Elias did in the match if it doesget shown. Hopefully he did well enough because I honestly can’t tell you if hedid or not. After this match the ring crew rearranged thering-set up to that of the actual Takeover show and the ring was dark for amoment so they could try and hide who was entering the ring. At first I thoughtit would NXT General Manager William Regal as he’s an England native. However,it was the CEO himself, Triple H making the flight to London straight afterMonday Night Raw. People knew it was him and when the lights went on he got anice reaction. He greated everyone to the show and them we also got a niceopening package hyping up all the matches on the card for the night as you’dexpect from a WWE Pay Per View, or Special in this case. Two things about this match. First off, I did notexpect it to be first so when Asuka’s music hit, everyone was just as into thisas I was. Second of all, I knew this match was going to be good because Asukais an AMAZING wrestler and Emma is very darn good herself. Plus Emma and Danaas an act are very entertaining. But DAMN, it was SOOOOO GOOOOOOD! And the bestpart of it all was that everyone was into it. They even got a ‘WomensWrestling’ chant which got picked up on the actual on-screen show, which I amSO HAPPY for that chant. Yes! An actual wrestling chant that I like! HOW ABOUTTHAT!? And you know these chants are working when you have matches in NXTannounced as ‘WOMENS match’, not ‘Divas match’. NXT knows the deal with theirfemales, it’s a shame the main roster has their terms stuck to them like aplague. Many stiff strikes and submissions from Asuka, andthe obvious shenanigans from Emma and Dana. The ref even got knocked downduring the match which got the people to call him not very nice things. Notsure why though, he didn’t do anything wrong. Poor referee, London are truly anasty bunch. The end Asuka managed to get the win with her Kana Locksubmission. After the match we saw an elderly man being shownon the titantron with no graphic as to who it was so I couldn’t tell you fromseeing it live. But after re-watching it via the WWE Network (bad plug I know),it was shown that it was Johnny Saint, a wrestling legend in the UnitedKingdom. I have been told by others in my current training to look up matchesof his. That was very nice of them to let him watch the show and be shown topeople around the world, plus it was a pleasant reminder of me to look up hismatches. The video package to this match was done nicely,recapping how Enzo & Cass was wanted to be the champions since the verystart and have not been getting the chance to fight for the belts due to otherteams being on top and recently Dash and Dawson putting them on the shelf for alittle bit. And as you can imagine, the realest guys (and girl) in the room.They got a massive reaction with everyone chanting along with them, myselfincluded. Also after rewatching the show online, I heard a brief mention fromCorey Graves on commentary saying that the three of them inspire a sub-cultureof people from the UK called ‘chavs’. Not gonna lie, describing them as chavsmade me laugh. Dash & Dawson came out and instantly people were doing thewhole ‘Who are ya? !’ chant which always gets on my nerves. It especially gotunder my skin here because even though I don’t like them as much as otherteams, their entrance music is badass and the fact that people chanted duringit really annoyed me. During the match both teams had their own chants,mostly mixed up football chants for Enzo and Cass and a ‘Which one’s Dawson?Which one’s Dash?’ chant for the champions since they do look a little similar.At one point one of the two grabbed Carmella as a shield against her boys, butshe turned around and gave him a hard elbow which got a nice reaction. ItSHOULD have also got them the disqualification win since someone not involvedin the match attacked them, but maybe the ref didn’t see and it’s not likeanyone cared anyway. People were on their feet towards the end of the matchbecause of how close Enzo & Cass were to winning the belt, but in the endthe champions retained after a super ‘Shatter Machine’ from the top rope whichlooked beautiful to be fair. Still very upsetting not seeing Enzo and Cass winthe titles here, everyone at the arena felt the same as well. Hopefully theycan win them soon, they have to. Whatever the case, this was a very fine match fromboth teams and continues to live up to the action that has happened tonight. Before the next match we got a video package hypingup the Womens Title match, focusing on the challenger Nia Jax and how she hasbeen undefeated since her debut, dominating everyone who has been in the pathto greatness. This match, honestly, was very similar to theirmatch from Cardiff. I mean it was still a fine match, with both of them pullingout impressive moves that they are known to do, but there were only a few realdifferences. One was that it felt bigger because it was at Takeover at a biggervenue. Also Corbin got more boos here with a bunch of vulgar chants at him.There was also a ‘Botchamania’ chant at one point when something went wrong whichwas a bit of tounge in cheek from the people at the arena. Another differencehere to the Cardiff match was that Corbin won the match. He did so afterhitting his End of Days move and getting the pinfall win. Not a bad match byany means, but it was the lowest match thus far, if you aren’t including thesecond dark match I mean. Before the next match we got two things. The firstwas a video package hyping up the return of NXT’s beloved Sami Zayn on howhe’ll be back, better than ever and making sure great things happen for him in2016. It was also shown on the broadcast of the special that he will returnnext week, with the match likely being one that I?ll talk about later. Thesecond was a backstage interview with previously mentioned Nia Jax, but duringthis interview Asuka appeared and the two had a stare down with Asuka going herusual ‘I’m going to kill you’ smile. We had a brilliant video package showing how Bayleyhas taken on all challenges since she won the championship and how Nia will beher most powerful obstacle to date. Very well done, I liked it. I loved the entrances of both women here. Nia cameout first looking like a future apprentice of Kylo Ren in the next Star Warsfilm after The Force Awakens, or at least she should be with the way she wasdressed. She looked like a Sith Lord I tell you. ALL HAIL DARTH JAX! But ofcourse Bayley’s entrance was much more impressive because of the… WACKYWAVING INFLATABLE ARM FLAILING TUBE MEN! I even saw two people on the groundlevel collaying as them which was truly amazing. She got the biggest reactionof the night thus far for sure. People love Bayley, what else can be said.Whether it’s just wanting some or or all of her to be their girl, people loveher, and me included. She’s like the My Little Pony of professional wrestling.Yes, I compared Bayley to that show, not sure how people will respond to that. The match itself was very good, not as much for thewrestling as Nia is still fresh and is improving with every match she has, andthe fact that Asuka and Emma just had a really good match. But was better froma story point and people in the arena knew that. People knew that Nia has beencrushing everyone put in front of her and that Bayley could very well lose herchampionship. But with each powerful move made by Nia, Bayley would kick out.There were many points when people were on their feet hoping that Bayley kicksout of each move. And by the end of it she ended up making Nia suffer her firstloss after she made her tap out to a long applied Guillotine Choke. Even though it ended on a high note, I have to sayone thing which I didnt like during this match, and I don’t mean the ‘We wantsome Bayley’chant because believe it or not, there was only one of those whichis an improvement to most NXT crowds. What I didn’t like were people around meand other parts of the arena making ‘fat jokes’ at Nia, calling her a ‘TwoPound Cheesecake’ and other eating related things. I mean, really? How immaturecan you people be? And don’t use an excuse like ‘But we are saying we LIKE biggirls!’, No no, NO! That’s being disrespectful since you’re putting attentionto the fact that she is a larger woman, and not in a flattering way. Beingcalled a ‘Cheesecake’ is NOT nice! Yes, the woman is a Plus size model. But fatjokes? Really? *sigh* Luckily that wasn’t picked up on the broadcast since wedon’t want to start that trend anytime ever. Bayley retained and Nia lookedgood in the match, and the people are happy, everyone wins as far as I’mconcerned. Before the match began, we had yet another nicevideo package focusing on the rivalry between these two men. After that, Joecame out first to mostly cheers from my end, and more 50/50 from the broadcastsend, which doesn’t shock me since London loves the bad guys (and themselves)more than anything else (banter banter, or maybe it’s the truth, I’ll let youguys be the judge of that). But when Finn’s grand entrance came on, it wassomewhat chilling, especially as there was a moment with a pre-recorded referenceto Jack the Ripper of him cutting something, a womans scream and blood rushingdown. That was truly shocking as WWE is very much the kid friendly image -that’s not kid friendly. Even adults around me were shocked to see that, not ina bad, but an unexpected way. And then of course, ‘The Demon’ emerged. All cladin his face and body paint and other clothing referencing Jack the Ripper,everyone played along with his entrance (myself included) and the crowd waschanting ‘This is Awesome!’ before the ring bell even went off. The match itself I thought was indeed the match ofthe night. During particular moves during the match, people around me weremaking references to people who the WWE won’t like being referenced to, so Iguess that counts as blasphemy, I guess? Along with the usual foul mouthedchants like they did during the show as a whole. So cuss, much vocal.. ugh whydid I say that? People everywhere were on their feet during most ofthe match, at every spot in the match which built up the tension and the end.It could have gone either way. Everyone around had to have been as hot andbothered as I was, I was quite the mess but that didn’t bother me as I was justpaying attention to a great match in front of me. In the end, Finn retained. Personally, I expected Joe to win here, but I’m notupset that Balor won as he’s great. Both are great. Either one of them couldhave won tonight and maybe we could see them fight more in the future for thetitle, who knows. All I know is that this match was amazing and I loved everybit of it. But if the thought the review was done, everyone atthe arena was treated to an extra special dark main event, so HAHA to all thepeople who left after the shows Main Event, you missed out on one great moment.Although with the announcement mentioned earlier in the show, people around theworld may be seeing this match anyway. We had the Perfect 10, who was big with the crowd.Many around the whole arena were making 10 chants and gestures like they havedone during the rest of the show. When Sami came out, everyone went nuts,myself included where we all sang to his entrance them, THE BEST ENTRANCE THEMEIN ALL OF WWE RIGHT NOW! And you know I’m being serious if I use all caps,that’s a fact of the internet right? No but seriously, his theme is the best,listening to it even in the saddest of moods can bring you up, it’s so good!Now granted I saw him in Cardiff the night before and I’m sure others here haveseen him in other shows, but everyone gave him a nice welcome back chant. The match was great. Sami looked like he didn’tlose a beat since his injury, just as good as he was in Cardiff the day before.And Tye held his own pretty well and got a ice reception in his own right. Butnot as much as Sami, this was clear as he did get a *bleep* your top knot and a’Top Knot *bleeper*’ chant which the second one would be familiar with fans ofThe Inbetweeners comedy show. Sami ended up winning by hitting his Helluva Kickfinisher on Tye in the corner and getting the pinfall win. After the match he got on the mic and told everyonehow great it was to be back and how things are going to get better for everyonein 2016. His career will change for the better, as will the future of NXT as awhole, with the Takeover Dallas show coming on the week of WrestleMania, whichshould be great. He got everyone to say ‘We Are NXT’ to close the live show foreveryone. So yeah, that was NXT Takeover London. May as wellmention the bad/disappointing first and leave the good for last. One majordisappointment I felt for this whole show was no William Regal appearance.Granted he’s not from London, but he would have got such a great reaction fromthe crowd I can guarantee you that. Plus it would have been a nice touch afterhe got back from successful neck surgery. Then of course you had the ‘smark’crowds counting over the referee when he was making the ten count. And as hewould say 9 during different matches, people would chant ten repeatedly in ‘Perfect’fashion. And then adding in the chants on Nia’s weight/image, you could tellyou were in London because they just didn’t care what they chanted. 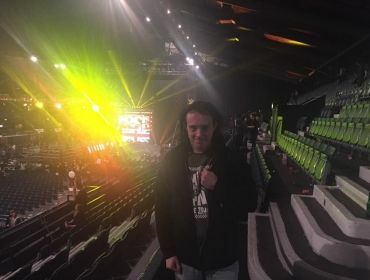 They alsobooed every single city that was mentioned that took part on the NXT Tour,Cardiff included for which I was the only one who cheered, other around megiving *that look*. You know, the ‘Oh he’s Welsh, lets scoff at him because weare so much better since we’re English’ feeling. You know, banter? at leastthat’s how banter seems to go for me anyway. But I’ve talked enough, I’ll just leave the articleby saying that if anyone is ever interested in going to a WWE Live Event, orespecially a TV taping/pay per view/special event to anything wrestlingrelated, particularly WWE or NXT in this case, do it. Hopefully you won’tregret it, and it may be one of the best experiences of your life. I mean itwas for me, and hopefully I can go to more of these in the future. BBC Crime drama Happy Valley to return soon!